In some circles, the Mint 400 is a far, far better thing than the Superbowl, the Kentucky Derby, and the lower Oakland roller derby finals all rolled into one. The Mint 400 is a long distance desert race based near Las Vegas, originally run in the 60s with a large purse sponsored by the Mint Casino. After 1976 they stopped having a motorcycle class, and after 1989 they stopped running it completely. In 2008, despite there no longer being a Mint Casino, the race was resurrected for cars, trucks, and buggys, but only this spring (March 6th-10th) are the organizers welcoming back the bikes and riders. This is not a race to enter if you are a desert novice, but spectating is cheap or even free, and Las Vegas loves to throw a party. We can debate whether the Mint 400 or the Baja 1000 is tougher, but certainly neither is easy. Thanks to its more accessible location and large payout sponsored by the casino, the original Mint exploded in popularity and attracted celebrities and the best drivers from various racing disciplines. This year you can expect to see more than 400 teams in more than 24 classes roar across the wide open desert. Official spectating is behind Buffalo Bill's Casino in Primm, and in an area near Terrible Herbst in Jean, NV, and competitors will be parked along Fremont Street for a party before the start. Famously, racers like J.N.Roberts, Malcolm Smith, Parnelli Jones, Ivan Stewart, Bill Stroppe, Mickey Thompson, and Walker Evans have driven or ridden in the Mint. But the proximity to civilization also attracted celebrities like James Garner, Steve McQueen, Larry Wilcox, Ted Nugent, and others. Depending on how old you are, you may also remember Rick Sieman and Choppers Magazine entering a Norton powered chopper in the race in the 1970s. But the race also looms large in a counterculture that cares little for motorsports thanks to it being the focus of the story Hunter S. Thompson went to Las Vegas to write in Fear and Loathing in Las Vegas. People who don't ride motorcycles don't really understand Hunter S. Thompson, and people who regularly ride in the desert probably understand Fear and Loathing in Las Vegas better than a lot of younger, hipper folk. Hunter understood the biker brain, and he certainly had a feel for the desert and the sort of person drawn to it. When H.S.T. wrote "There he goes. One of God's own prototypes. A high-powered mutant of some kind never even considered for mass production. Too weird to live, and too rare to die." he could have been describing just about any of the people who enjoy being 50 miles from nowhere, going as fast as possible, on a motorcycle skipping across the desert. 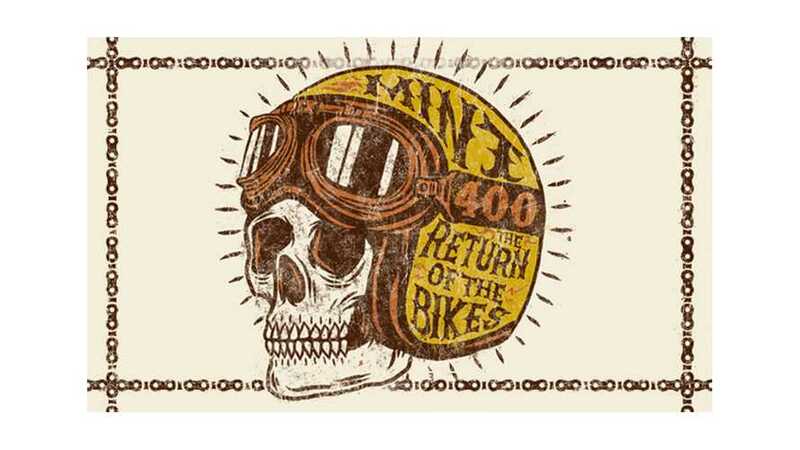 I like a challenge, and enjoy making a fool of myself on a motorcycle in competition in front of spectators, but the Mint 400 presents much too real of a chance of death or dismemberment for me to enter. But I don't need much excuse to head off to Las Vegas to watch other people risk their health off-road. There are classes for vintage, near vintage, and modern, so someone could conceivably enter a chopper again, or even the Vincent Black Shadow that Dr. Gonzo claimed to be riding. Now I just have to get in contact with my attorney and reserve a fast car, preferably a convertible.